Valid for participating merchandise only. Please check a list of participating merchandise at retail point. Disney’s Mickey key rings are limitedly available; 1 piece/customer/day. 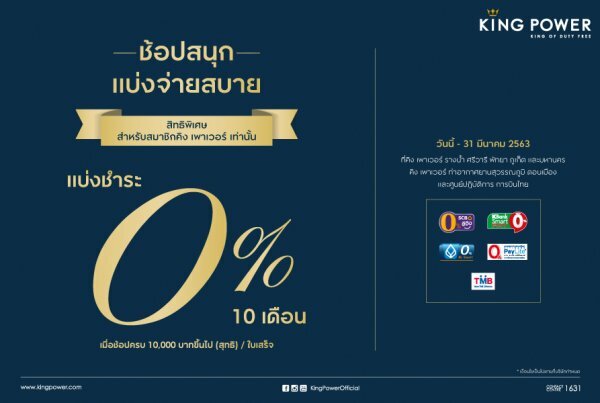 In case of King Power members; members are eligible to purchase with either member discount for 10% discount offer. Invalid for use in conjunction with Birthday Celebration privileges, money balance on a membership card, cash card, gift card, gift voucher, cash voucher and any other discount coupon. Exception is made for money balance transferred to membership card as a reward for new members. 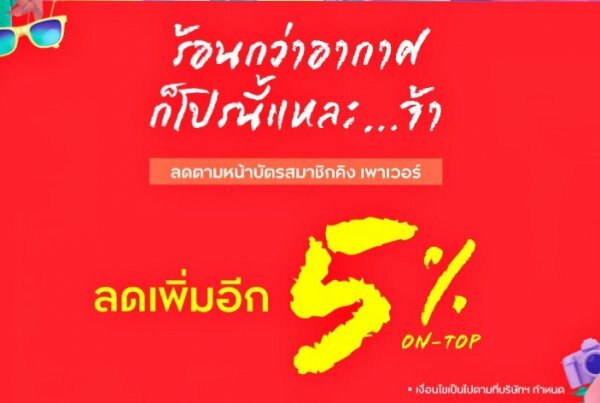 Valid for the purchases through 0% interest rate instalment plan. 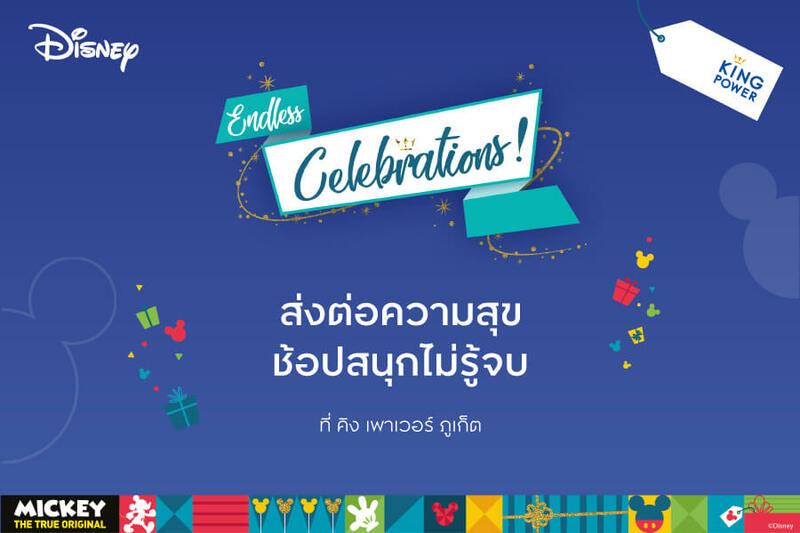 Valid for the purchases through King Power’s co-branded credit cards issued by SCB and KBank. Terms and conditions are governed by the Company and are subject to changes or amendments without prior notice.